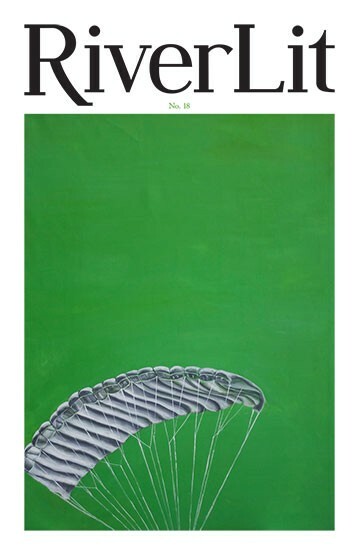 The 18th and final issue of RiverLit was published earlier this month. After five years, eighteen issues, and countless hours, RiverLit is going on an indefinite hiatus. Thank you to everyone who volunteered their time and skills, submitted their writing and art, said yes to the stranger emailing them to be in a show, and, of course, everyone who read the issues. RiverLit's editor in chief, Keely Honeywell, confirms the magazine will cease publication, saying via email it's a decision that wasn't made lightly, and stems from several personal reasons she'd rather not explain in detail. "What I will say is that, while I've had some wonderful volunteers over the years, the magazine has been run by me alone, and I cannot keep up the work. I have a full-time job and technically I'm a volunteer, because I never paid myself. I'm also working on my own writing now, which I've had to put aside for a long time," she writes. RiverLit started out in 2010 as a quarterly publication, and then moved to biannual issues as of this year. Its most recent issue was released earlier this month. Each edition featured a mix of short fiction, essays, poetry and art, submitted by local writers and artists. The latest issues of RiverLit can be purchased in physical form at Atticus Coffee & Gifts, and online in digital format. Honeywell says the digital versions of all issues will remain available for online purchase, at riverlit.com. At the moment, Honeywell says she's finishing up some revision work on a novella, and will be returning later this year to a draft of a novel she's been working on. She also works as a full-time designer and developer at the Spokane creative agency Seven2. And since RiverLit was her "baby," for now Honeywell doesn't foresee that she'll pass on the torch to anyone else. "I couldn't bring myself to give RiverLit over to anyone; I'm so connected to it," she writes. "I've grown as a person, pushed myself and conquered fears by working on it."